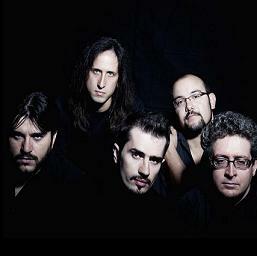 Plenty of Afterhours' fans would love this record of Italian rock, whose artistic production was entrusted to Andrea Viti (Karma, Afterhours, Juan Mordecai) and to make things even more tasty there's a track, "Il Cielo", where the Veronese band's singer Carlo Cappiotti duets with Karma's vocalist David Moretti. As to the lyrics, they range from nonsenses to sentences or phrases which might be open to infinite interpretations, whereas the sounds are literally magic, thanks to the double mastering at the Sterling Sound in New York and the Saff Studio in Chicago. The highlights of the album, "Il Tuo Paradiso" and "Cavie", also available on youtube with a promoclip, include the finest riffs and vocal lines. Sure, there're songs that might satisfy the most tender-hearted, such as "Ventimila Sere Sotto Il Mare", jazzy, delicate, and enriched by piano lines, still it seems Facciascura give the best of themselves in the tightest and distorted compositions: two good examples are the intense wha-whaed "Spettri" and "Il Cielo", where the guitarist chooses to cram the song with several strokes of the brush instead of a solo. 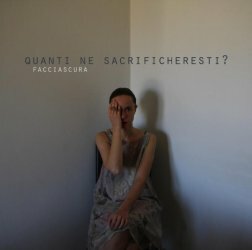 Even though the way these songs are sung and the Italian language may seriously hinder the spread of the band abroad, the 3-piece won't have problems in finding a niche in the local market, owing to a professional product, a big guest and an effecient promotion agency, so there will be many here anxiously waiting for the sophomore release.